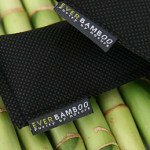 When I first came across the Ever Bamboo website, I was perplexed. 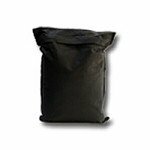 There are so many variations of the same type of products on the market, what makes Bamboo Charcoal so special??? Granted, I don’t think I’ve ever seen any with charcoal, but there are many products marketed to accomplish the same thing. Of course, this meant I HAD to find out what was so special about them! The Journey of Experimentation Begins….. Okay, my house has smells. Not all good, not all bad, just smells. For example, I have a teen daughter. She brings all kinds of smells with all those chemicals she insists on using, then there are the lovely habits she likes to have, like leaving her dirty, smelly shoes and socks under chairs where no one notices them until they have thoroughly smelled up the house… Yeah, gotta love that one! Of course, there ARE good smells in our home. LOL. It’s just that one seems to pick out the bad smells first and foremost. You can smell the most recent meal we’ve cooked wafting through the house, which is our favorite. I was once told by a guest that our house had a ‘homey’ smell… He meant that it didn’t smell like artificial scents, but rather a culmination of the smells a good family home was meant to smell like. Our friend is a rather honest and simple man, which is one of his many endearing qualities! Needless to say, of the products I had the privilege of testing out, the Over-Size Deodorizer has become my favorite! I placed it under a sofa chair in our living room, we have an open floor plan so it’s central to the kitchen, dining room, and the hallway entrance as well. I will be honest and say I didn’t have high hopes that it would work in such a large area. Umm, I am super excited to say that I’ve been proven wrong! We all know that the stinky smell will be noticed over any other smell. Whether it’s the surprise the kids left in the sofa, the one the pets left in the hallway, or the hubby’s stinky work boots he insists on not putting away. I’m overly pleased to say that in the Zoo, the bad odors are no longer there. The bag obsorbed the bad odors and now we can’t even smell them! It’s amazing! I have no idea how it works, I just know that I can still smell the good smells but I can’t smell the bad ones! Check out my review of the amazing HEI Face & Body Soap! You will want this one too! I’m not sure they are gonna have a product that wouldn’t get an amazing review! LOL. Trust me, you will love it too! I like using charcoal toothpastes and charcoal tablets for gas. I bet it does make a good deodorizer, too.